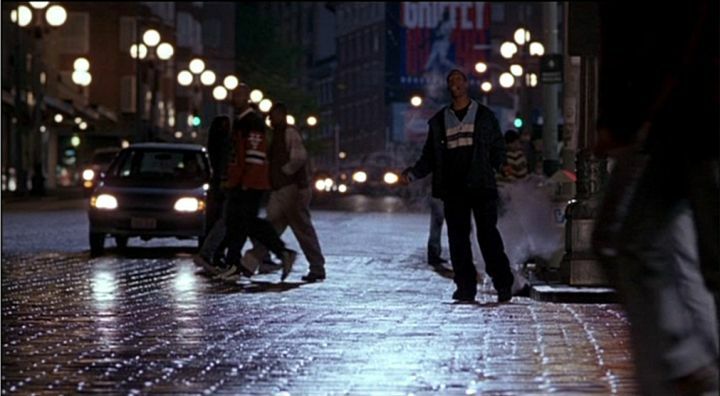 IMCDb.org: 1995 Geo Metro [SF413] in "The Sixth Man, 1997"
^This frame is happening at the end of the scene, and the car you're linking to is a background vehicle right at the beginning of the scene. Also appears to be a light gray vehicle. Agree with Mr Dellorto, also thought I'd add that its the 2nd gen(95-97).